While an ingrown toenail may seem like a minor event, leaving it untreated can result in painful complications, including infection. 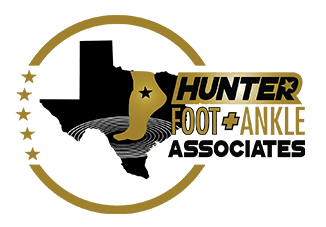 Roderick Hunter Jr., DPM, AACFAS, is an experienced, board-certified podiatrist who offers comprehensive treatment and prevention services for ingrown toenails at his practice in Plano, Texas. Dr. Hunter can repair your nail and ensure your foot is free of infection to protect your overall health. Don’t neglect care for an ingrown toenail. 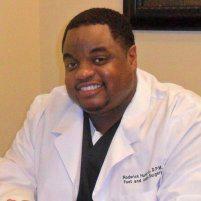 Schedule a consultation with Dr. Hunter today using the online booking feature or by calling his office directly. How does an ingrown toenail develop? An ingrown toenail may develop when you cut your nails too short, especially on the sides of your big toes. Short nails can begin growing into the skin, causing pain and making it difficult to walk. You may also be at increased risk for ingrown toenails if you frequently wear shoes that are too tight, which forces toes together and puts pressure on your toenails. Additionally, in some cases, chronic ingrown toenails can result if you have a nail that’s too large for your toe. Initially, the skin around the affected nail become swollen, hard, and painful. If left untreated, your toe may become infected. This can result in drainage of pus from the nail bed. Once the nail becomes infected, it’s important to seek medical treatment to prevent the spread of infection into other parts of your body or your bloodstream. What treatment options are available for ingrown toenails? Dr. Hunter offers a variety of treatment options to address painful ingrown toenails. Depending on how deep the nail has grown into your skin, he can remove part of the nail, cutting it out of the skin during an in-office procedure. If there are signs of infection, Dr. Hunter can prescribe oral antibiotics or recommend antibiotic topical medications. When you have ongoing issues with ingrown toenails, Dr. Hunter may recommend removal of the whole nail. How can I prevent ingrown nails in the future? Dr. Hunter can recommend personal care activities that help ensure your nails stay healthy. He can show you how to properly trim your nails to avoid ingrown infection. If you notice the side of your nail growing into your skin, you can soak your foot in warm water several times a day to keep the nail soft before trimming off the excess edge. You can relieve pain with over-the-counter medications and be sure to wear shoes with plenty of room for your toe, especially if you’ll be standing or walking for long periods of time. If at-home treatments for an ingrown toenail aren’t successful, schedule a visit with Dr. Hunter for medical attention before the toe becomes infected. Learn more about treating and preventing ingrown toenails by scheduling a consultation online or by calling Dr. Hunter’s Plano office directly today.